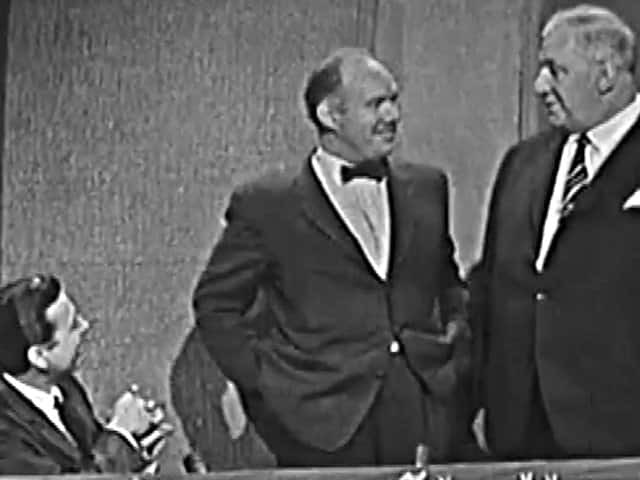 Pierre Berton and Desmond Morton look back at Canada's defining battle of the First World War. Jack Babcock, Canada's last living veteran of the First World War, celebrates his 107th birthday in 2007. Even after 90 years, the scars of trench warfare in France's Somme have not fully healed. As the Canadian War Museum's new location opens in 2005, CBC-TV looks at some of the museum's most fascinating artifacts. In 1915, Canadians soldiers fall victim to one of the most hideous inventions of the war: chemical warfare. The author appears on CBC-TV's Hot Type to talk about Canadians in four wars of the 20th century. Vimy Ridge veteran John Close revisits the site for the 75th anniversary of the battle. 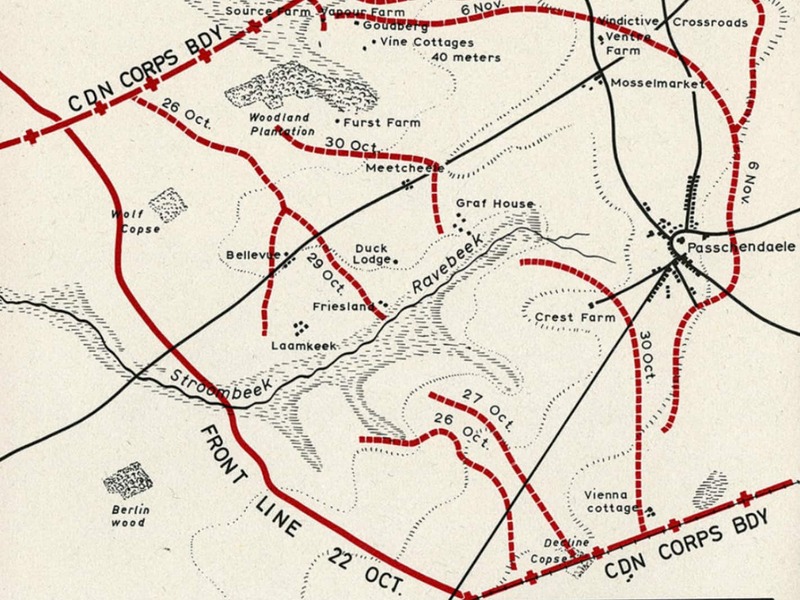 The Royal Newfoundland Regiment lost 90 per cent of its men in just 30 minutes. 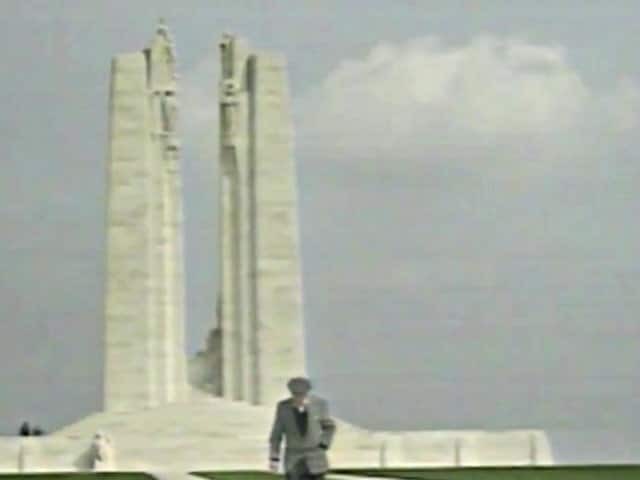 CBC-TV's Allen Abel journeys back to Vimy Ridge with veterans visiting it for the 70th anniversary of the great battle. Authors and poets help the propaganda war by romanticizing the trench warfare and even the tragedy at Gallipoli. Alan Maitland reads Bruce Bairnsfather's account of the wondrous ceasefire that took place on Christmas Eve of 1914. An interview with Jack Ayre, pianist for the First World War entertainers the Dumbells. Pastoral farmland has become hell on earth, and thousands of Canadians are dying in it. Leader of the famed Black Flight Squadron, WWI flying ace Raymond Collishaw is profiled by CBC-TV in 1969. Stanley Burke narrates the story of the April 9, 1917 assault on Vimy Ridge. Veterans recall one of the most terrifying and triumphant moments in Canada's military history. 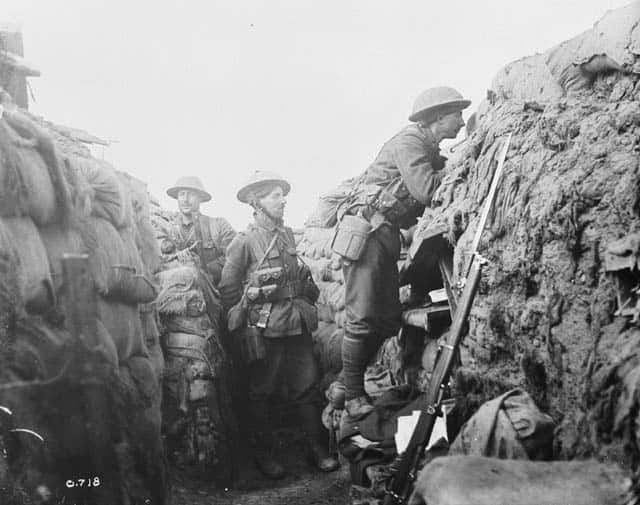 Canadian veterans and historians recall the initial zeal of Canadian Expeditionary Force volunteers. Canadian soldiers fighting to liberate Mons discover it is the last battle they must fight. A Canadian flying ace recalls the day he was shot down by Manfred von Richthofen. Dudley "Tiny" Seymour talks about the rum he buried in Belgium in 1916. An interview with Walter Gow, cousin and boyhood friend of In Flanders Fields author John McCrae. 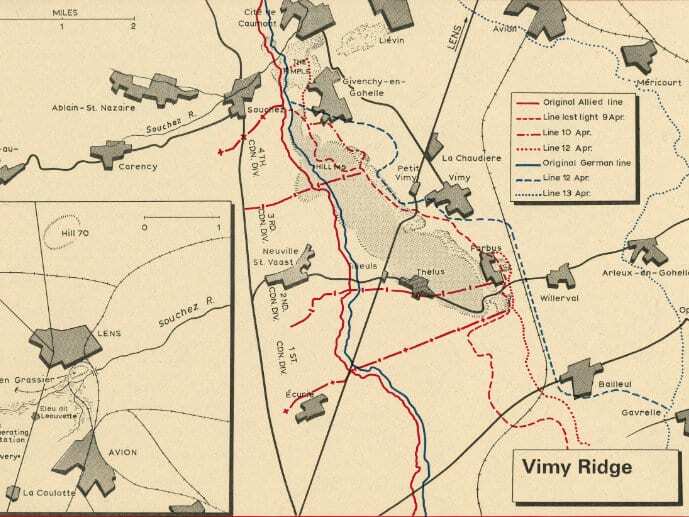 Canadian Army Newsreel reports on Vimy Day services in Surrey, England and Vimy, France. As the Second World War rages, Canada looks to stories of the Great War for inspiration. Canada's fallen sons are remembered at the Vimy Ridge Memorial in France. Survivors remember the worst battle of the First World War.